It's time to say goodbye to 2013 and hello to 2014, a fresh new year full of promise and hope. And what better way than to do it than with a big bang? From Winnipeg to Dubai, filling the midnight sky with fireworks is a time-honoured tradition travellers around the world love to witness. 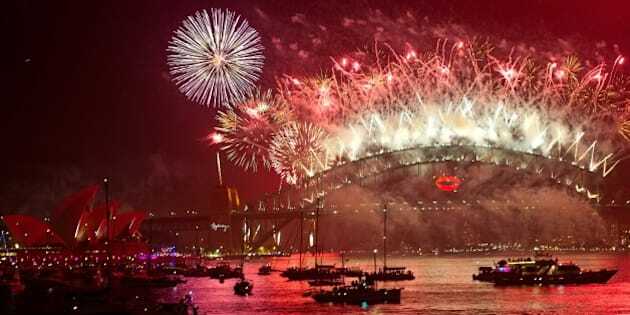 And while fireworks are now used all across the globe to ring in the new year, its origins date back to ancient China. The Chinese, known for their invention of gunpowder, would plug bamboo tubes with the explosives and light them with a flame. The result? A spectacular burst of light and a loud noise thought to scare away evil spirits. And really, there’s no better time to chase away bad energy than before the start of a new year -- lest your crops be ruined, your spouse runs away with your neighbour, or you’re replaced with a robot at your current job. So, let’s bring on the noise, the spectacular colours, and the resulting "oohs" and "ahs", the indiscriminate hugs with strangers at midnight: 2014 is on doorstep. It's time to welcome 2014 with fireworks and a hearty party in a locale near or far.